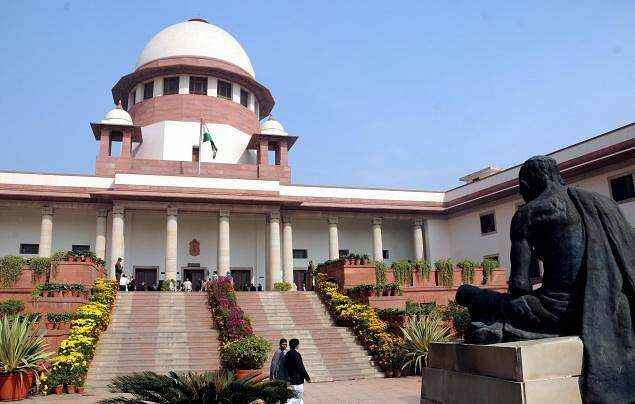 New Delhi, Nov 14: The Supreme Court on Monday asked the Centre to spell out its stand on the controversial Sethusamudram project initiated to facilitate navigation between India's east and west coasts. A bench of Chief Justice Dipak Misra, Justice A.M. Khanwilkar, and Justice D.Y. Chandrachud directed the Centre to state its position, after Bharatiya Janata Party leader Subramanian Swamy said that the Centre has said that Rama Sathu will not be touched. He said a Union Minister had made a statement in Parliament that it will not be touched. Interestingly, the Centre on November 26, 2015, had sought four weeks to spell out its stand on the controversial Sethusamudram project. On that date, the Centre had sought adjournment on Swamy's application to seek an end to hearing in the matter after the government's statement in Parliament that it was abandoning the project. Swamy moved the top court to challenge the project on the basis of religious beliefs that Ram Sethu' -- believed to have been built by Lord Rama's army to cross the Palk Strait into then Lanka -- exists in the area and sought a national heritage status for it. The Sethusamudram project has been facing stiff resistance from some environmentalists and Hindu groups as alignment number 6 in the Palk Strait to facilitate navigation between India's east and west coasts was to pass through the mythological 'Rama Sethu'. The Rajender Pachauri Committee report said the alternate alignment for building Sethusamudram shipping channel in the Palk Strait to facilitate navigation between India's east and west coasts, while saving the Rama Sethu, was "neither ecologically nor economically" feasible. Pachauri had given his report after the government asked him to look into the possibility of an alternate alignment 4A for Sethusamudram channel. The committee was set up by the central government on July 30, 2008. Going into pros and cons of the project, including rising sea level, extreme weather conditions, and the possibility of oil spills, the report said: "... it can be seen that the project, including the possibility of adopting alignment 4A, could potentially result in ecological threat that could pose a risk to the ecosystem in the surrounding areas and, in particular, to the biosphere reserve." The report further said: "It should also be emphasised that prudent adaptation strategy to deal with projected impacts of climate change should ensure that infrastructure investments are made in a way that will not pose any risk to life or property." Turning to the economic analysis of the project, the report said it was concluded that the benchmark rate of return of 12 per cent was not met for a range of scenarios examined in case of alignment 4A. The report said that "a more realistic set of assumptions would impact viability even further". The report said that "given the doubts raised by a detailed analysis, it is unlikely that public interest would be served by pursuing the project on the basis of alignment 4A". The earlier United Progressive Alliance government had not accepted the Pachauri Committee's report, saying it had gone beyond its terms of reference.